Since 100% pure silver is too soft to be effectively used in jewelry, copper was (and is) usually added. The more copper is included in the alloy, the harder it will be but this will also make it more prone to corrosion. 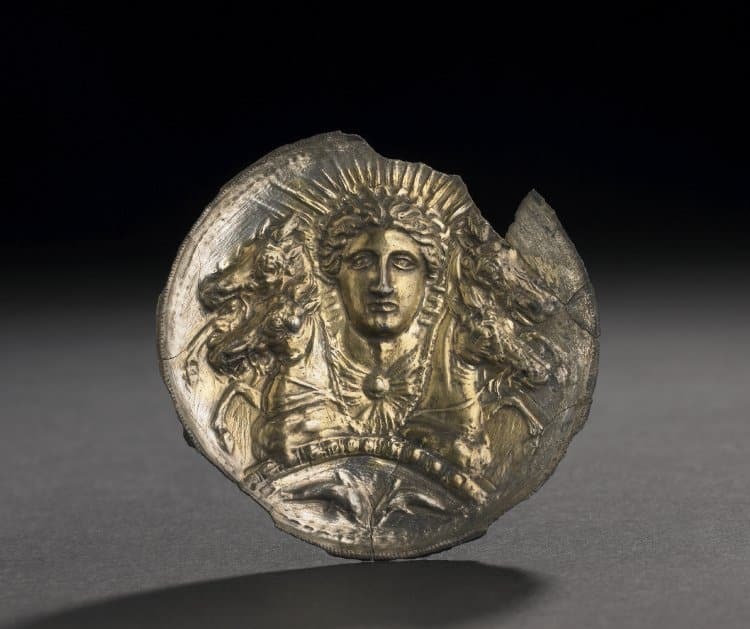 Greek Silver-Gilt Disc, Probably a Horse-Phalera. Date: 5thC BC-2ndC BC © Trustees of the British Museum. 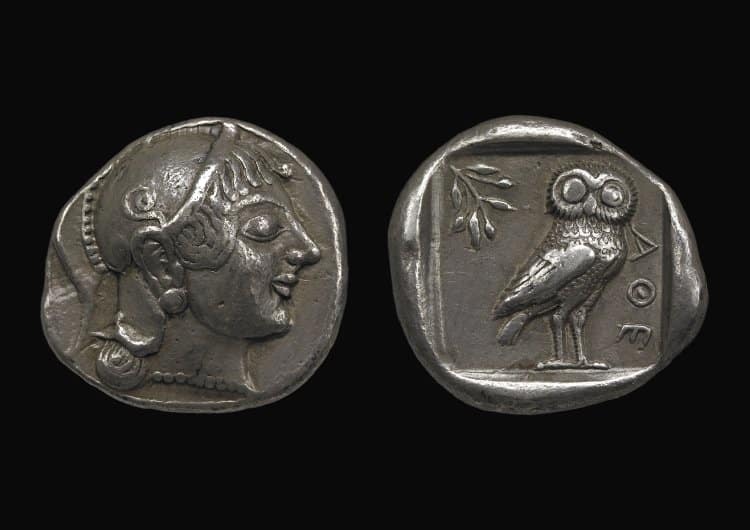 Athenian Drachm Date: 594BC-527BC © Trustees of the British Museum. Natural gold-silver alloys of various ratios, named electrum, do exist though. Electrum has been used in Classical times for jewelry, coinage, objects d’art and utensils. In fact, the first coins in history were struck from this alloy around 600BC by the Lydians, a people living in Anatolia, modern day Turkey. 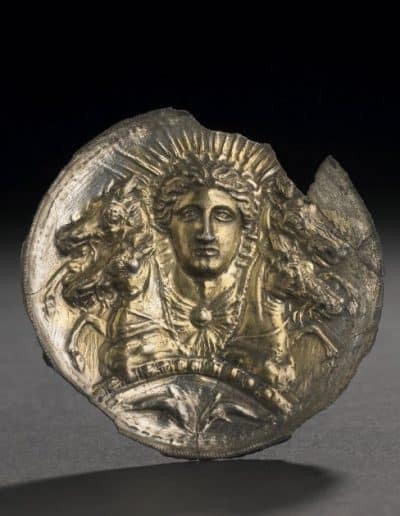 Pure silver (and gold) coins followed in the century after this and became widespread over the Greek world. 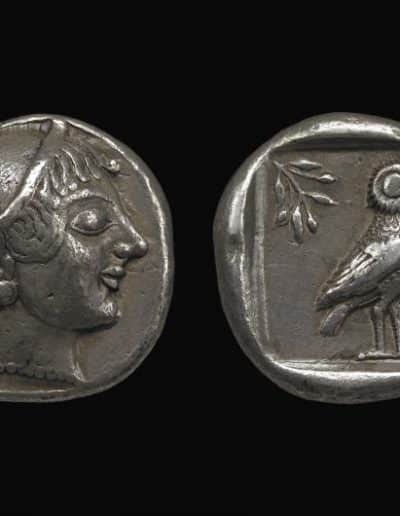 The Athenian drachm, for instance, was struck following the Attic standard which stood for 4,3 grams of silver per coin. Since then the most common source of silver for jewelers has been coins and not surprisingly we see the purity of silver jewelry items following those of the coins contemporary to them. Flash forwarding into time, this is extremely clear in the USA prior to the adoption of sterling silver where the purity of silver dollars generally was 90% and silver items were hallmarked with the word ‘COIN‘ to indicate a .900 standard. Purity is often expressed as parts per thousand in weight. The .900 mentioned above, therefore, indicates that 90% of the weight of the alloy is silver, the other 10% some other base metal which most commonly is copper. Sterling Silver, which has a silver content of 92,5% by weight, has become the most commonly used silver alloy for jewelry. The 7,5% copper content gives the metal sufficient hardness while maintaining good working qualities. Although silver alloys with this purity have been in use since the 12th century, the popularity of this alloy in the western world too comes from coinage: sterling silver was the coin standard in Great Britain until 1920. Other standard alloys are Britannia Silver (.958), which is too soft for general jewelry use and .800 silver which is sometimes called continental silver because it was extensively used in the German-speaking countries of mainland Europe. The name Fine Silver is used to indicate silver which has a purity of .999. There are three basic ways to test an object for its silver content. The first and least complicated one is that of the touchstone. With this method, the object which is to be tested is run over a flat, dark stone and the color of its streak compared to streaks made with ‘needles’ of known silver alloys. Experienced assayers can determine the silver content to an accuracy of about 3% by comparing the colors of the streaks. Pure silver leaves a white streak, silver with a bit of copper a yellow one and alloys which contain a lot of copper will look redder. The second method is that of cupellation (also called Fire Assay). With a special scraper, a curl of silver is scraped from a (preferably inconspicuous) place on the item. The removed material is weighed, refined to pure silver through cupellation and weighed again in order to determine the weight percentage of the silver. 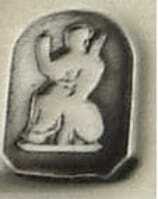 Around 500 stamps with the name or depiction of the current ruler start to appear, something which has been interpreted by jewelry historians as duty stamps; indicating that taxes were paid over these items. From medieval times to the mid of the 19th century, hallmarks were used only as a means of consumer protection. Since pre-Roman times gold and silver has been used as currency and one can imagine that a not so scrupulous person would find a means to tamper with the precious metal. Scraping a small portion of a silver coin, or diluting a silver ornament with non-precious metals while selling it as pure silver, could, in time, build a small fortune and this type of counterfeiting was not uncommon in days gone by. Over the Middle Ages most European countries adopted some kind of hallmarking system, resulting in four main types of hallmarks that can give vital information on the origins of jewelry items. As said, the first marks were born to prevent fraud and solely contained the mark of the maker. Being able to link an item to its manufacturer enabled duped customers to notify authorities whenever something was found to be wrong. These could then look at the mark to track down the maker and hold him accountable. In the 14th and 15th century guilds and city councils imposed rules which enabled them to check items for purity before they were sold. 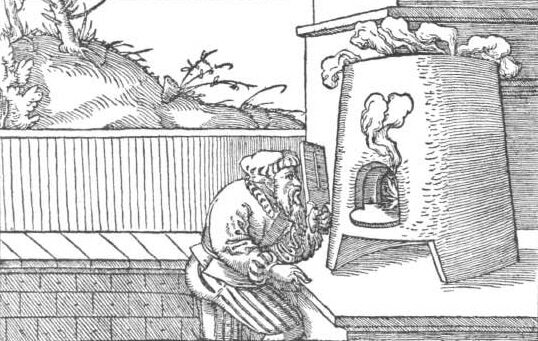 They would appoint an assayer who would check the item and then strike the item with a purity mark, often unique to that city. Later again, authorities wanted to be able to check who the assayer performing the tests had been and consequently year marks and assay office marks were introduced. The maker’s mark would typically be struck by the maker himself, prior to any assaying. Then the item would be sent to an assayer who would test the item for purity and, after having assured himself that everything was as it should, would strike the other marks. 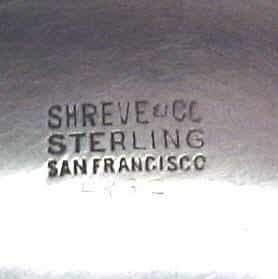 A difference in appearance between the maker’s marks and the other marks is therefor more rule than exception and should be interpreted as a sign of authenticity of the marks. When an item was assayed by cupellation or titration a small amount of silver had to be removed. The tool used to do this was a special scraper with which a curl of material would be taken from the item under test, with a (sometimes zig-zagging) groove in the surface of the material as a result. At times the assayer would strike his marks over this groove, another indicator of authenticity. Keeping in mind that the maker already had struck his maker’s mark before sending the item in for assaying you will never find the maker’s mark struck over the test groove! When you do find this to be the case you are dealing with forgery. The topic of silver hallmarking is such a vast one that we refer you to online sources outside this project. Below you will find several historic books on the matter as well as links to excellent sites which have devoted themselves to the topic. Handbook to Foreign Hallmarks on Gold and Silver Plate.